I am confident that I am not the only holiday fanatic out there. Especially when it comes to Christmas and all its glory. If I can choose one tile style to lock down for an eternity it would hands down be in the white family of slabs. When it comes to choosing tile, you cannot go wrong with white hues and minimal design. White is timeless and adds great value to any space. Placing white in your home is beneficial in more reasons than one might think. It’s an easy sell if you choose to one day put your house up on the market. It will also fancy any type of buyer because it is a beautiful clean slate to start off with. White is an aesthetic that can never be wronged. Now I’d love to enlighten you with how many different areas you can design with tile in JUST your living space and how much easier holiday decor will be. 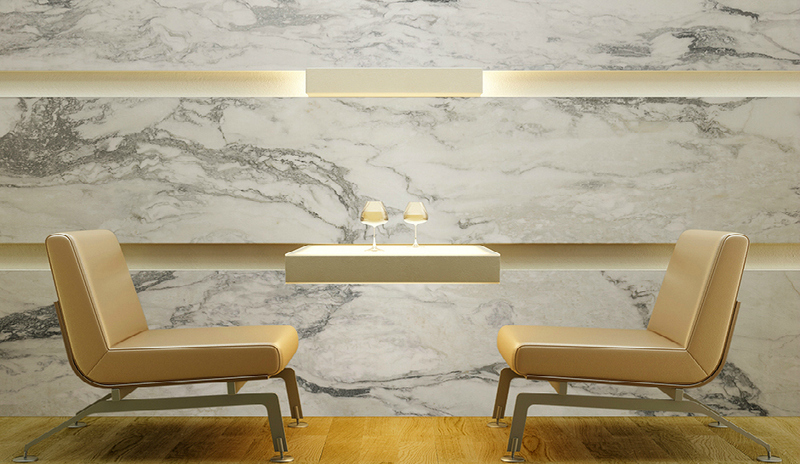 A white inspired tile type can be used on your walls to add dimension. By adding tile on your walls, your holiday decor is practically done for you without much effort. Imagine adorning your walls with garlands and seeing the beautiful green organically pop and create a holiday atmosphere. Now that’s just phase one. Placing tile as your main flooring is a great way to allow your creative juices to start flowing with adding color to your home. Whether it may be a classic red and green combo or a whimsical palette. Whichever one you choose, remember to stick stay true to a theme so there’s a consistency throughout your home. Wherever your Christmas tree is ordained to be placed, it will be a simple task to embellish under your tree. Wrapped gifts will quickly become your favorite way to style under and around your tree. Your clean white floors will not only assist in your holiday styling but also enhance all of your favorite decorations. I simply can’t get enough of holiday vignettes especially when there’s a beautiful platform I get to partner with. Adding a non-pigmented tile to your countertops, mantles, tables, etc. is the perfect setup for a classic and timeless holiday feel. Ornaments, glitter, sequin, garland, candles, candle holders, lights, silver dollar eucalyptus are just a few of my preferred holiday decor. 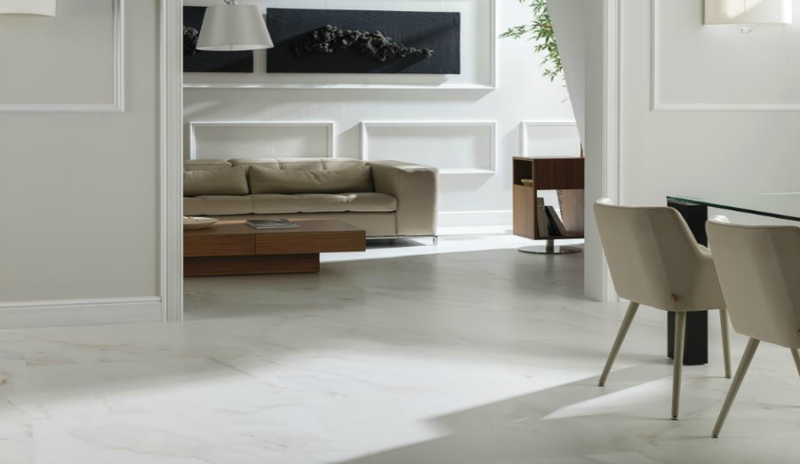 Porcelanosa’s Tile collection is huge and absolutely stunning. If you’re looking for a cleaner modern look with minimal details I highly recommend the Egeo Blanco; it has subtle details but not where it’s overwhelming. The Persian White Pulido is a stunning choice for those that are looking for a moderate design pattern and one that is easy on the eye. The Nvy White Nature is my personal favorite and is so gorgeously detailed that makes it a difficult task to look away from. 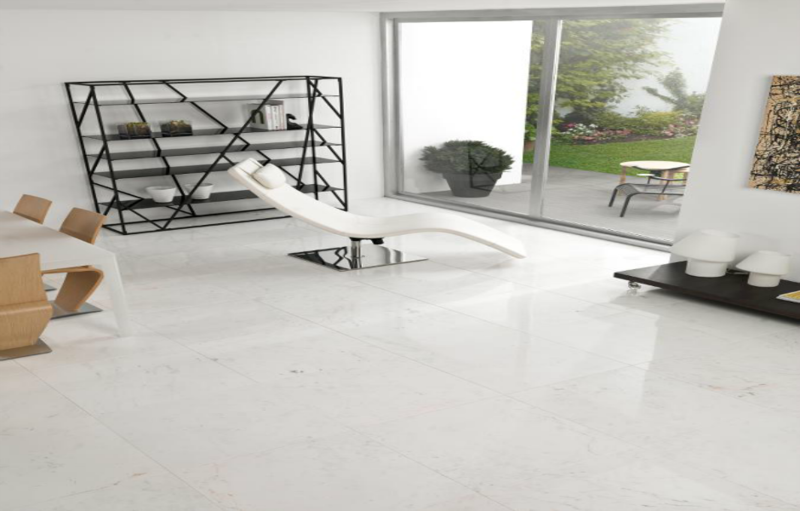 Have fun choosing your tile this winter and remember the timeless aspect of the white hue. Don’t be afraid of committing to such a light pigment. You will be forever grateful for your choice at the end of the day.